Check out these DL Desk Calendars. High quality desktop calendars without comprimising on quality. Desktop calendars all come with a thick base card as standard and are professionally wiro bound. Printed on a 250gsm silk paper as standard providing a high quality finish. Portrait or landscape – your choice! 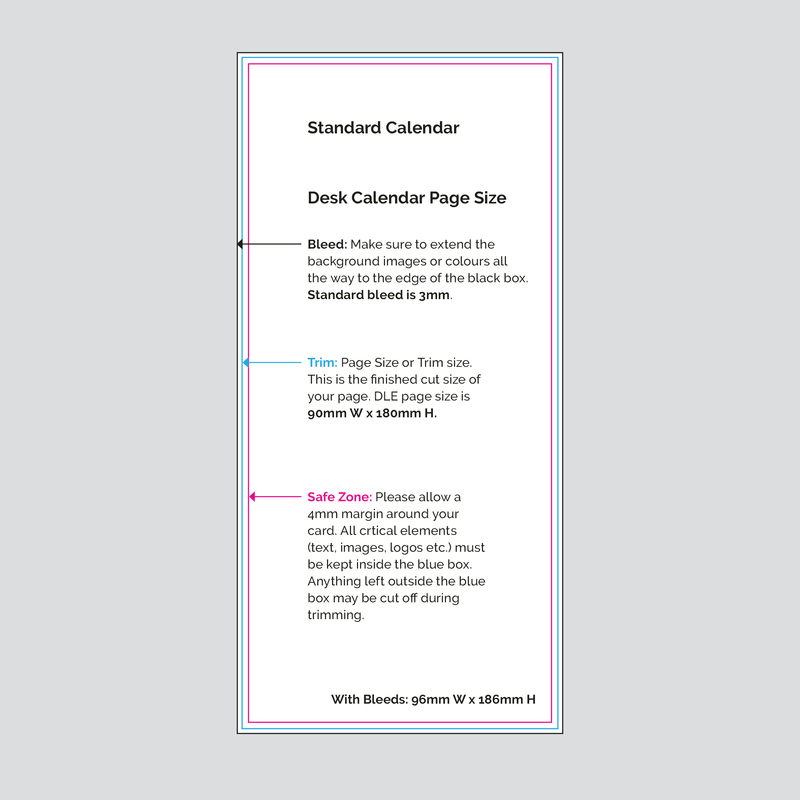 Standard calendar option – setup your pages at 90mm w x 180mm h.
These fit into a DL size envelope to easily post or deliver. 13 Pages – 12 months of the year and add a front cover. Black or white wire available. If you’re sponsoring an event, or just doing the rounds with your customers, promotional calendars are an effective way to keep your brand in front of people long after the event. If you’re sponsoring an event, or just doing the rounds with your customers, promotional desk calendars are an extremely effective way of keeping your brand in front of potential customers long after an exchange. 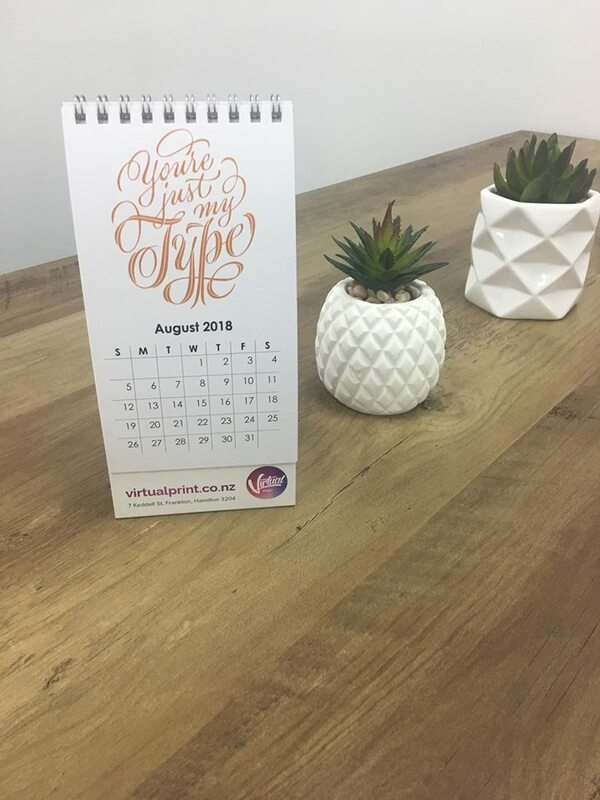 Desk calendars are an extremely versatile promotional item, pop them in goody bags at events, gift to purchasing customers or use as the perfect excuse to call on a potential or infrequent customer.